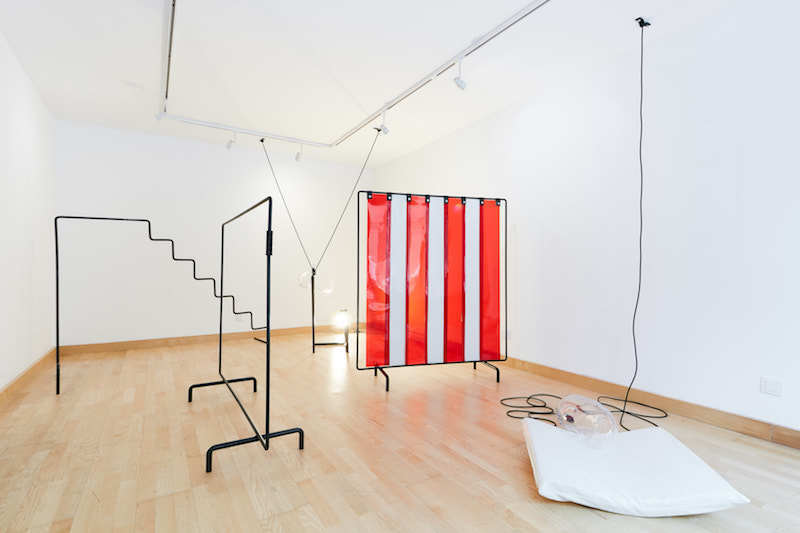 Metal constructions, hand-blown glass sculptures and everyday objects form the installation Of Limits by Borbála Szántó. The work stages a halted moment of a probable performative action, a shop-window experience where attention is drawn into a constructed micro environment. 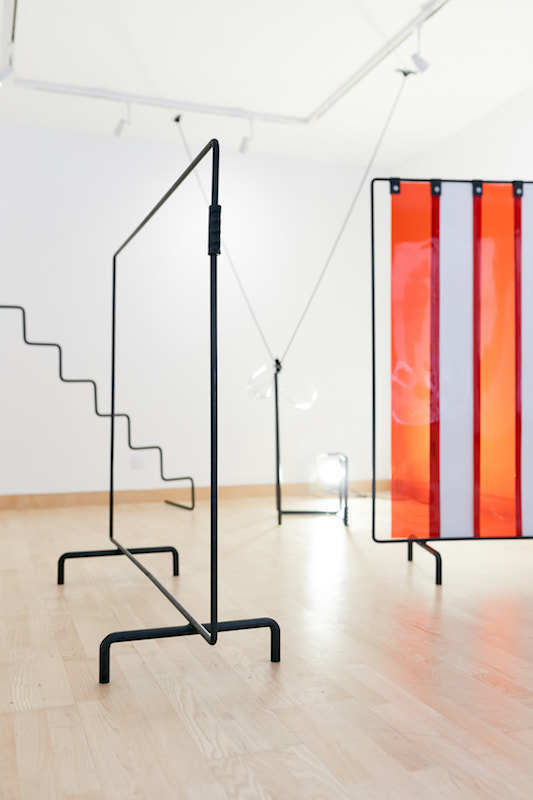 Metal constructions, hand-blown glass sculptures and everyday objects form the installation Of Limits by Borbála Szántó. The work stages a halted moment of a probable performative action, a certain shop-window experience where attention is drawn into a constructed micro environment balancing on the verge of fiction and reality. 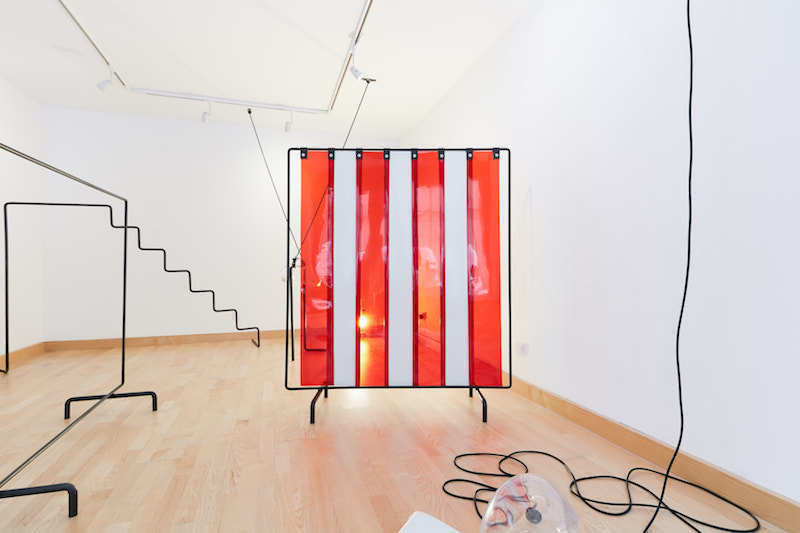 The installation recalls the details of a past action, while encourages the viewer to finish the story according to personal impressions. 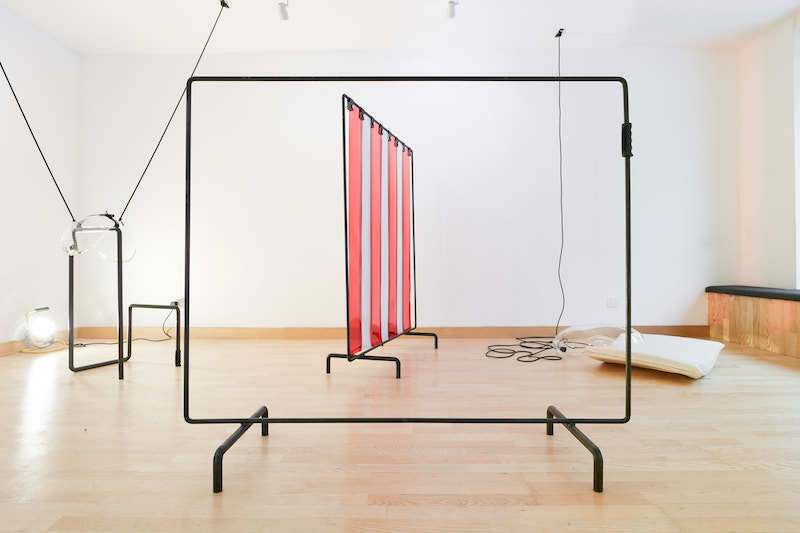 Borbála Szántó (1990) graduated from the department of Sculpture of the Royal College of Art in London in 2017. For her graduation work she won the David Troostwyk Bursary Award by Matt’s Gallery and the Royal College of Art. In her work she is dealing with the intermediate dimensions of space, using sculptural elements and various materials.